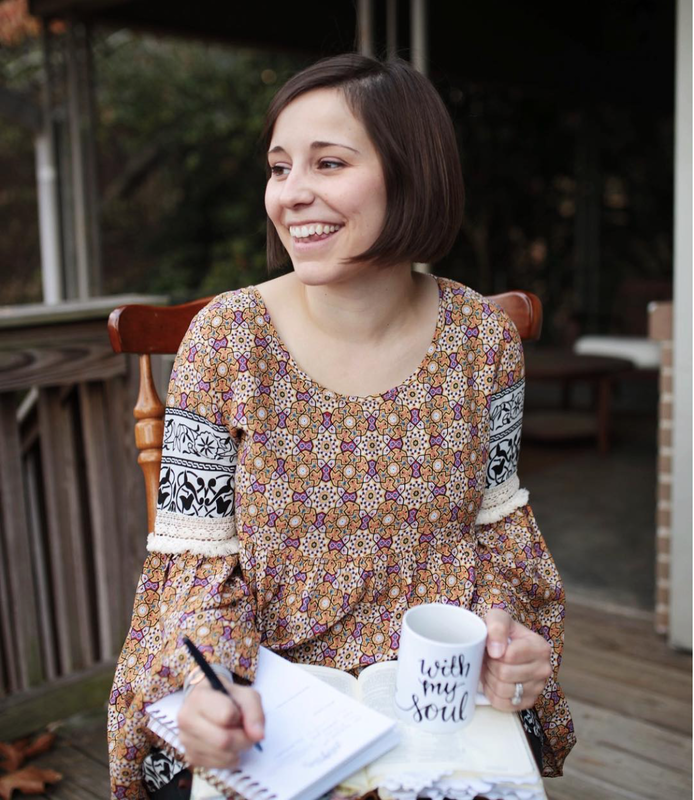 Today I have the privilege of introducing you to sweet Rachael Milner. 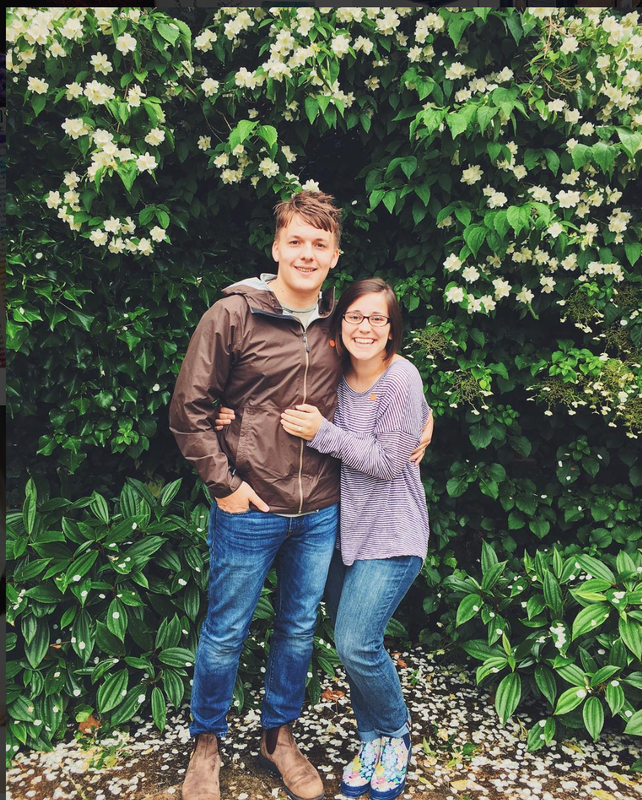 She and I met at the Influence Conference in April (I feel like I've said that about the last few Sisters of Influence :)). I first was introduced to her via Instagram, though! 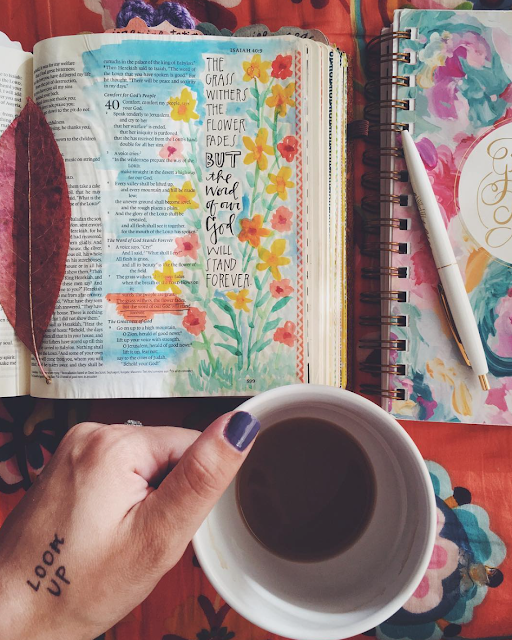 She has a beautiful page in which she shares her beautiful art through Bible journaling. She has a gift, friends! You will be encouraged by her heart and life. Hi friends! My name is Rachael Milner. If we were in person, I'd probably give you a hug and pull up a chair so we could get to know one another. I love the Lord and have been walking with Him for twenty-one years. I married my best friend, Ethan, who I met in middle school at the same church where I work now. We live in Birmingham, Alabama and have an adorable dog named Lainey (no kids yet, but we would love to adopt one day!) I work part-time for two ministries that I absolutely love. I do Girls College Ministry at Shades Mountain Baptist Church where I get to spend my time investing in girls, leading our discipleship programs, designing for our ministry, and planning and leading mission trips. I also work with Life Lived Beautifully, where I get to direct social media for the Shop and help with design and writing and a few others things. I do a good bit of freelance work on the side and have an Etsy shop for fun! I accepted Christ at a young age, just five years old. I grew up in church about as often as the doors were open since my mom has played the piano here for years - so I was very familiar with God, who Jesus was, and what the Bible said about Him, even before kindergarten. My relationship really began to flourish when I was twelve years old. The Lord spoke clearly to me that I was called to ministry and that He had big plans for me, but I couldn't wait to become a "grown-up" before I started walking with Him. From that summer after my 7th grade year until now, it's been one huge, ongoing, life-changing journey of walking with the Lord. I fully believe that God does not allow us to be planted where we are by mistake. Any people you see regularly, whether that's your family, your friends, your co-workers, your classmates - those are people you have influence with. It may not feel like much or it may not be the people you would like to have influence with, but God has put you there for a time and a purpose. So I believe that being a woman of influence means taking advantage of that opportunity, sharing the love of God with those people, and actively seeking Jesus in all that you say and do in those relationships. This could even be how you use social media, how you speak to people in conversations, or how you encourage others when they need it most. Using those opportunities one at a time to honor God creates a lasting influence that can point people back to Him! I know without a doubt that anything good about me is from Jesus. Recently I've been humbled again and again as God is pointing out sin in my heart that needs pruning or surrendering. So when it comes to art and creating, I know that those are merely gifts from a gracious Father - and I want to glorify Him through using those in every way possible. I love to create art that can be a reminder of truth - whether that's a favorite verse, a promise to cling to, or just a simple reminder to stop and think about the goodness of God in your life. I also love to work on projects for friends and use that time that I'm designing, painting, writing to pray for them and whatever season of life they are in currently. Those are some sweet moments between me and God! Honestly, it was something that my husband said to a girl I was discipling in our first year of marriage. I love that it came from him, because I see him actively living these words out in our relationship. He told her to love Jesus more than she loved herself or her spouse, and everything else would follow suit. It's so easy to get caught up in pursuing the best possible marriage or longing for the love, affection or approval we crave from our spouse - but when we start seeking that more than we are seeking Jesus, it doesn't take long for everything to feel off. We have to love Jesus first and more than our husband, then serve and love him out of the overflow of our heart! That anything good about us or in us is grace. I think we get so caught up wanting to be the best, have it all together, be known, etc. - but God is the one who is renewing and restoring us day by day. If we do something well, it's because of the talent He's poured into us. If we are great mothers, wives, friends - it's because of the love and grace He's shown us in relationship. When we start to make a name for ourselves and forget that this little life is actually about making His name known, our days will be just a shell of the abundant life that He's invited us into! Philippians 4 is a favorite passage for sure. I struggle with anxiety and depression, so the words of promise and peace that come from those verses are some that I've clung to in a lot of hard seasons. God has taught me so much about surrendering my anxiety to Him and trusting Him to provide all that I need. I also love Psalm 145:16, so much that it's tattooed on my wrist. The promise that God opens His hand to us to satisfy our every desire - it's something that blows my mind! It also reminds me not to hold onto anything too tightly, because when our fists are closed shut we cannot receive the grace He freely gives. Honestly what I shared about Psalm 145:16 is probably the one truth I remind others of as much as possible. God satisfies, He sees, and He is capable of working and providing in our situation beyond what we can comprehend. When we grasp tightly to the fleeting we miss out on the opportunity to experience the eternal - and that's no way to live when we've been redeemed by a holy Father!